The MDI Biological Laboratory (Bar Harbor, Maine, USA) is a growing, independent, biomedical research institution. It aims to improve human health and wellbeing through basic research and development ventures, as well as providing world-class science education. 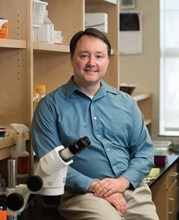 In this interview, Aric Rogers, PhD, assistant professor at the MDI Biological Laboratory, discusses how he is studying factors such as genetic variations and environmental conditions that can influence lifespan using roundworms. Aric Rogers, PhD, is an assistant professor at the MDI Biological Laboratory in Bar Harbor, Maine. He holds a doctorate from the University of Massachusetts in molecular and cellular biology and performed his postdoctoral research at the Buck Institute for Research on Aging. Using the roundworm, C. elegans, Rogers studies how gene expression is altered under conditions that extend lifespan, particularly at points of regulation occurring after transcription. In particular, he studies the genetic mechanisms underlying the life-prolonging effects of dietary restriction, which has been found to extend lifespan in a range of species. Because environment influences genes controlling aging and health, interventions like dietary restriction can delay, prevent or otherwise mitigate the severity of age-related diseases, including diabetes, cancer and neurodegeneration. The goal of his research is to understand how lifespan-extending interventions work across different species and to apply what is learned to improving healthy human lifespan. Could you introduce yourself and give some background on the MDI Biological Laboratory? I’m an assistant professor at the MDI Biological Laboratory, where our focus is on aging and regeneration. Our approach is to study the molecular mechanisms that underlie aging and regeneration by using animals that can teach us the most about these phenomena. Our goal is to use what we learn to improve human health by slowing the physiological decline associated aging and to stimulate regeneration of damaged tissues. I came with a background in the biology of aging and there are a few centers around the country that have this focus. Although the MDI Biological Laboratory has only relatively recently shifted its focus to aging, what really attracted me was that they were also focused on this issue of regeneration. I think that these two areas – trying to slow the biological processes that contribute to aging as well as to stimulate the regeneration of damaged tissues – are going to be two of the most therapeutically promising areas to prolong the healthy years of life. 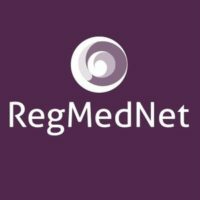 What is it that interests you in age-related disease and regenerative medicine? It’s hard not to be interested in these topics – everyone ages. Adults experience declines in tissue function and quality of life as we grow older, and an increase in our understanding of the interactions between our genes and the environment, along with new drug development or repurposing of drugs that already exist, has put us in a special position. For the first time, we actually have the potential to ameliorate the decline in health that we all experience. Why are you using roundworms as a model for your studies, as opposed to other model organisms such as the zebrafish? One of the things I came to appreciate as I got into the biological sciences was that nature doesn’t waste what works. Although we may look very different, the way our cells grow and communicate at the molecular level is very well preserved, even among seemingly disparate species. The revolution in our understanding of the biological processes that influence aging really started with the small roundworm, C. elegans, in the late eighties and early nineties and this organism continues to teach us about how evolutionarily preserved genetic pathways influence health and longevity. The other useful aspect is that there are no restrictions for animal use with invertebrates such as C. elegans. The animals grow to adulthood in 3 days and they only live for 3 weeks, which makes them perfect for figuring out which genes control resilience to stress and longevity.